Hilton won Winners Dog at the APC National Special on March 2005 with 89 dogs entry. He is also a muliple group placement. 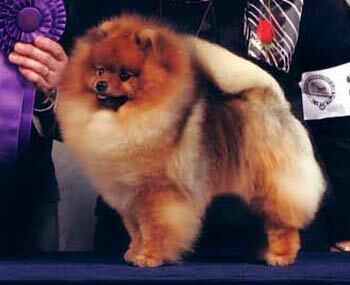 He is a repeat breeding of Multiple BIS BISS Starfire's Wicked Mean N Nasty "Luther" , the number one Pomeranian in 2003.